The Best Friends at the Bar Newsletter was Mailed Today! 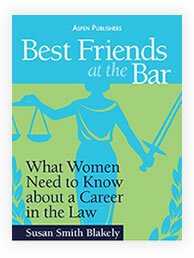 My September/October 2018 Best Friends at the Bar newsletter gives you a lot to think about. It was mailed today to my mailing list. If you are not on that list, you can sign up on my website. 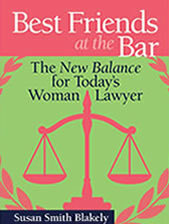 Or you can read it at https://bestfriendsatthebar.com/newsletter/2018/10/31/septemberoctober-2018-newsletter/or on the Best Friends at the Bar Facebook page or on Twitter at ssmithblakely. Lots of options. 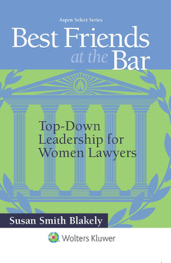 From information about my new book for and about millennial lawyers, to a discussion of gender issues, to the importance of mentoring, you will find something of interest in this most recent edition. I just heard from a Big Law partner friend of mine who particularly liked, “Be who you needed when you were younger” in the discussion about mentoring. It seems that too many senior lawyers have forgotten what it was like when they started practicing. This particular friend and I were colleagues in our first law firm, and we tried our first case together in the early 1980’s. He reminded me recently how lucky we were to have senior lawyers who mentored us, had interest in our careers, and had enough confidence in us to give us access to clients and interesting and challenging work. Times were different then. The was no Internet and no West Law or similar services available on line. We read hard-backed legal reporters, treatises and hornbooks, and we hung out in the law firm library doing it. We were not confined to small offices and cubicles, isolated and forgotten and staring at computer screens. There was a camaraderie among young lawyers that helped them to stem the tide. We talked to each other about our challenges, and we helped each other to overcome them. I am not yearning for yesteryear. I know better than that. I also understand that we did not have word processors at the beginning of my practice, we had no computers, there was no FAX, and cell phones were years away from the market. But what we lacked in technology, we made up in human interaction. There is a lot to be said for that. It does not have to be an all or nothing. I embrace the technology, but I also would like to see us return to the values that were the underpinnings for the kind of human interaction that demonstrated itself as respect, caring, and an interest in collegiality and community spirit. Those values should not be mutually exclusive with technological advances and global practice. They are basic — or at least they should be. My bet is that we are going to find returning to them the only way to save us from the negative effects of money, power and greed that have overtaken our profession and choked out the goodness. 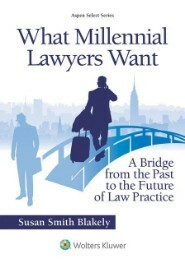 If any of this resonates with you, do yourself a favor and get a copy of What Millennial Lawyers Want: A Bridge from the Past to the Future of Law Practice (Wolters Kluwer/Aspen Publishers 2018). The stories I tell there might be a call to action for you and others. At least I hope so.